Neurotechnologies describe a field of science and engineering in which the nervous system is interfaced with technical devices. Fundamental research is conducted to explore functions of the brain, decipher the neural code and get a better understanding of diseases and disorders. Risk benefit assessment has been well established in all medical disciplines to treat patients best possible while minimizing jeopardizing their lives by the interventions. Is this set of assessment rules sufficient when the brain will be interfaced with a technical system and is this assessment enough? How will these new technologies change personality and society? This article will shortly review different stakeholders’ opinions and their expectation in the field, assembles information the state-of-the art in medical applications of neurotechnological implants and describes and assesses the fundamental technologies that are used to build up these implants starting with essential requirements of technical materials in contact with living tissue. The different paragraphs guide the reader through the main aspects of neurotechnologies and lay a foundation of knowledge to be able to contribute to the discussion in which cases implants will be beneficial and in which cases we should express serious concerns. The question why one should or would like to apply neurotechnologies cannot be answered shortly with a crisp statement but rather raises the counterfeiting question “why not? ” Is there any difference to any other technical device? Is it worth spending money on neurotechnologies? And if so, in which diseases are neurotechnologies applied? There are many questions that have an impact when new “technical gadgets” change daily life. Do they only improve the individual health and quality of life or do they also have an impact on society when societal norms, freedom of decision and legal aspects of behavior are concerned? Question of responsibility and autonomy, personal agency, health and disability have to be asked in this context. Answers to patients and society need understanding of at least some technical fundamentals of strengths and weaknesses, opportunities and threats of the current state-of-the-art in medicine and science as well as in technology and engineering. This article will lay some foundations about the field of neurotechnologies, gives examples of medical applications in which medical devices intervene with the nervous systems and introduces and assess basic technological implant components to enable the reader to give an informed consent or dissent to these new class of technologies. Reading glasses, hearing aids, walking frames – technical aids have entered daily life in ageing societies. Medical assistive devices have become little helpers and their use is hardly questioned in most cases. The use of technical devices to support diagnosis, therapy and rehabilitation has a long tradition. Surgical tools are known for more than 2000 years and the first carved wooden toes go back to ancient Egypt. Since physicists and physicians discovered that many processes of the human body are –at least partly- controlled by electrical signals, their use for diagnosis and therapy as well as neuro-technical interfaces for rehabilitation purposes are subject of research and discussion. If natural sensors of the human body are degenerated by diseases or decoupled by traumatic injuries, muscles or organs do no longer obtain neural input. Why not using technical electrical signals to write information into the nervous system? If diseases of the nervous system or other organs lead to changes in the neural information flow, why not overwriting these “wrong” patterns with ones that alleviate the symptoms of those diseases? The mechanistic description of neurotechnological interventions seem to be too simplistic to cope with complex and highly coupled processes in the human body on the first view. However, some success stories have been already written: cardiac pacemakers control heart beat with only few contact sites, cochlear implants restore hearing and deep brain stimulation suppresses tremor in Parkinson’s disease patients and overcomes movement stiffness. Retina implants to restore vision have gained medical device approval some years ago and electroceuticals as electronic pills that interface nerves promise to replace pharmaceutical agents and reduce side effects. Clinical applications of neurotechnologies offer alternatives to pharmaceutical approaches and devices for diseases that have been fatal, so far. The informed and educated medical doctor as well as the user has to decide eventually, whether neurotechnologies exist and are already mature enough for a certain application and if they keep the promise they made. Different parties are involved in the chain of asking for neurotechnologies, developing them and bringing them into use. The following paragraph tries to paint a picture of the stakeholders’ interest and to highlight different driving forces behind neurotechnological developments. Since the ancient times, the driving force in medicine to use technologies was the restoration and replacement of lost functions. The outcomes got better, especially in the last century but were never better than the performance of the average non-affected subject. When digital technologies, genetic engineering and neurotechnologies took the stage, the question of enhancement of human capabilities became a subject not only for treatment of diseases and disorders but also for enhancing our physical and cognitive capabilities. Extension of our senses to feel magnetism, to see beyond the visual spectrum of light and to hear ultrasound are visions of physical nature. Using genetic engineering and technology to create superhumans, upload the own brain and the whole human knowledge to the cloud and abolish the death by becoming immortal in a fully digital state are utopic or dystrophic scenarios depending on which side one is on. Philosophers, pioneers of the internet age and do-it-yourself biohackers have assembled under the umbrella of “transhumanism”. As M. Guenther summarized “the uncanny power of transhumanism is its seduction that he renewed religious promise of salvation in the language of logic and empirical sciences that science itself has deconstructed” . Whether a potential application is desirable, useful and beneficial from a personal point of view and ethically acceptable as well as legal and safe from a societal perspective needs knowledge about the technical and medical background. Guidelines would help to assess risks and benefits, effects and side effects and to take a decision. While many questions regarding neurotechnologies can be answered when applying these basic assessment schemes , there are challenges that go beyond standard risk-benefit ratios. There is no strict line between medical treatments and enhancement but individual cases or classes of applications have to be considered. Individual and social aspects as well as personal rights and societal duties have to be well-balances when effects of enhancement are discussed. While obvious medical side effects as dizziness, vomiting, changes in blood pressure or heart rate are easy to detect and report, changes in the ability of reflection, emotional balance, altruistic behavior and commitment to relations are much harder to assess. Accountability, responsibility and security as well as privacy has been identified as very important ethical dimensions in brain-computer-interfaces . When more shared-control between the user and a robot is included in medical devices, who is responsible and accountable in case of accidents or harm? Have device manufacturers to overtake all liability or is the user partly included since his actions did initiate and (partially) control the technical system? Experience from autonomous cars and recent accidents raise more questions than answers, so far. Medical devices share some ethical issues with other tools that transmit data wirelessly, like sophisticated smartphones. Secure data encoding end encryption are quite at its infancy in wireless medical devices and malicious hacking of implants –no matter if they are life-supporting or not– should be prevented for safety reasons. Privacy and strict data protection is of utmost importance when patients use personal information (e.g. “is your daughter‘s name Tracy”) to communicate with brain-computer-interfaces. Engineers are prepared and should be included in ethical and societal discussions and decision taking. When using neurotechnologies in general and especially in the context with brain-computer interfaces, people’s privacy, identity, agency and equality have to be respected, ensured and preserved. 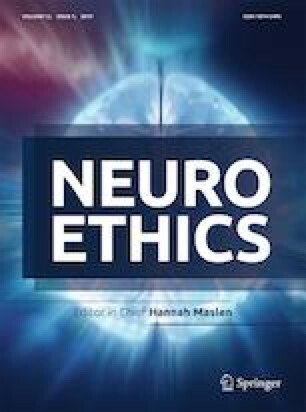 Four ethical priorities for neurotechnologies and artificial intelligence have been postulated by 25 experts, recently . Neurotechnologies offer a vast possible medical and societal benefits. However, they need to be guided in their developments to keep the human in focus and preserve and protect what is best in humanity . Widespread diseases and neuronal disorders represent a considerable social and economic burden of the aging societies in Europe. More than 179 million people have been affected by brain disorders and diseases in the year 2010 in Europe with associated yearly costs of about 800 billion Euros . The costs already exceed those associated to cardiovascular diseases and cancer in the same population and do not only express a humanitarian desire for treatment options but also a hard economic need. Established treatments in brain disorders include pharmaceutical medication and psychotherapy. Stimulation implants are still one of the “last resort” options in many diseases and are used at very late stages when patients have already lost work and social contacts. Are there any success stories that give evidence that engineering technologies can offer new treatment options in disorders and diseases of the nervous system? The term “neurotechnologies” is not thoroughly defined and intermingles sometimes with the “electroceuticals”  and “bioelectronics medicine”  description. All three terms have in common that active implants interface and interact with the nervous system to read, to modulate or to “overwrite” the neural code for treatment or rehabilitation purposes. In the past, collaborative research between medicine and engineering has created active medical implants and offered help to life threatening and debilitating situations. Starting with cardiac pacemakers 60 years ago, active medical devices have become one of the backbones in modern medicine. The largest success story in neural applications is the cochlear implant  that restores hearing in more than 320,000 patients . Many other clinical applications of neurotechnologies are quite often summarized under the term of neuromodulation which describes the treatment of neuronal diseases and disorders by means of electrical stimulation. These treatments cover movement disorders in Parkinson’s disease, suppression of epileptic seizures, severe psychiatric disorders like depression and obsessive-compulsive disorder (OCD), cluster headache and chronic pain . The field of bioelectronics medicine which also uses neuromodulation approaches includes treatments of hypertension, diabetes, rheumatic arthritis and chronic bowel inflammation, for example . Implantation sides in the brain have been refined over the last decade and potential side effects have been reduced. Spinal cord stimulation (SCS, also known as dorsal column stimulation-DCS), vagus nerve stimulation and deep brain stimulation are the three most widespread clinical applications of neuromodulation, so far. Spinal cord stimulation goes back to the idea of the “gate control theory” of Melzack and Wall first published in 1965 . It hypothesized that signals on fast conducting fibers of the spinal cord are able to modulate the transmission of pain signals originating from slow conducting fibers and thereby reduce pain perception. More than 100,000 patients benefit from these implants [15, 16]. Prediction whether pain patients will respond to the treatment are challenging  since no reliable method exists. Further applications of this type of neural implant cover severe stages of arterial peripheral occlusions to preserve the limb, to treat urge incontinence and chronic cystitis. Careful patient selection and adaptation of stimulation protocols are prerequisites of success in clinical practice . 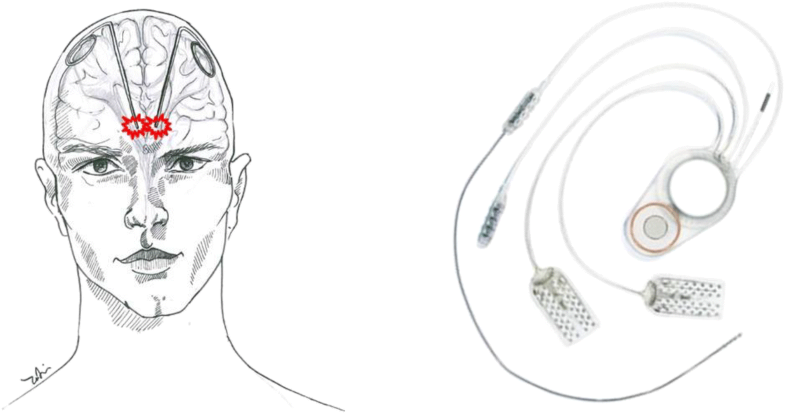 Vagus nerve stimulation implants treat more than 30,000 patients to reduce the number of seizures in epilepsy and to treat severe forms of schizophrenia and obsessive-compulsive disorders. Since the medical device approval in 2004, the number of implanted patients is continuously growing. The implants are simple, robust and reliable and the surgical intervention to implant the electrode around the vagal nerve and place the implantable pulse generator in a subcutaneous pocket is of limited risk and invasiveness [14, 18]. Further studies on anxiety disorders, migraine, Alzheimer’s disease  and obesity treatment  delivered promising outcomes. Vagal nerve stimulators are implanted on the left side of the body, since this branch of the vagal nerve has less efferent fibers to the heart and therefore cardiovascular side effects are less on this side . However, if hypertension treatment is intended by vagus nerve stimulation , the right vagus nerve branch is preferred. Permanent stimulation of the whole vagus nerve can elicit serious side effects including changes in ventilation frequency and voice alterations. Tendency towards sleep apnea can be increased as well as dizziness and vomiting. Patient specific adaptation of stimulation parameters and intermittent stimulation are desirable to significantly reduce side effects . Multi-channel stimulation with increased spatial selectivity  is another way suppress undesired side effects. Deep brain stimulation has shown tremendous efforts in treatments of patients suffering from Parkinson’s disease. The electrical stimulation suppresses tremor and helps to overcome akinesia. However, this treatment cannot heal patients but “only” improves their status and keep them into their jobs and social lives for some more years. The effects seem to be a combination of increased neuronal inhibition  and neurotransmitter release . Since the first clinical studies in the 1970ies , indications of deep brain stimulation have been broadened. In addition, overshooting movements (dystonia) due to L-Dopa treatment can be prevented and essential tremor can be treated. Severe psychiatric disorders like depression and obsessive-compulsive disorder as well as reduction of epileptic seizures, migraine and cluster headache have been investigated as well as treatments of apallic patients and dementia [18, 24, 25]. Implantation sites of the electrodes and stimulation parameters vary depending on the application and treatment. Cables were routed subcutaneously in the chest area to the implantable pulse generator which sits in a subcutaneous pocket . Battery life time of implants is about five years for primary cells and up to nine years  with rechargeable ones. Dislocation of electrodes or stimulation parameters can cause side effects that include mood disorders up to depression, voice alterations, dizziness, vortex, vomiting, changes in heart frequency and even cognitive changes. However, the effect of DBS is for most patients well outweighing potential side effects. Despite their therapeutic success, most of these implants are far away from fully restoring lost functions in many recipients and show remarkable variations in individual outcome. Fundamental limitations are given by limited selectivity of stimulation of excitable tissues due to spread of current and missing direct contact between electrodes and excitable tissues. Stimulation parameters are determined in an initial mating session closely after implantation and are adapted once a year when the subject comes to an “inspection” to implant centers. Most implants are still not equipped with sensors to identify the actual situation, adapt parameters on demand and measures the outcome of the treatment, immediately. Cardiac pacemakers are already activity dependent and can adapt their stimulation frequency but closed-loop control of all other implants is still subject of research. Many other applications of neurotechnologies are under research or have been already investigated in clinical trials: brain-computer interfaces to control assistive devices, phrenic and bladder pacemakers, spinal cord stimulators to treat pain, vision prostheses, grasp and gait neuroprotheses after stroke or spinal cord injury and many others [26, 27]. However, patient numbers have been too low or trauma or disease are too variable to obtain beneficial outcome and develop a successful business case out of research studies to launch a product and thereby help patients independent from short term research funding programs. Performance, safety and reliability of neural implants depend on the materials and technological methods that have been used to manufacture them. The quest for increasing numbers of electrodes for recording and stimulation is on to be able to access more neurons at the same time. While many exciting success story have been already told for neuroscientific short term experiments, translational research towards clinical applications and medical device approvals is rare. Academic structures, personal motivation, (missing) financial means as well as knowledge about legal and technical boundary conditions are huge hurdles on the way towards a successful enterprise. This paragraphs will not explore the latest possibilities of cutting-edge technologies but rather point to general fundamental questions and target specification that any device must meet to fulfill the so called “essential requirements”. Implants have to show stability over the envisioned life-time that might vary between applications. Novel technologies in the micro- and nanoscale still have to prove longevity in the body. The challenge of becoming invisible for the immune system of the human body is still a dream. Foreign body reactions attack every implant so far and a stealth technology is not yet at the horizon. The reader will be guided through different aspects of fundamental neural implant components and properties to acquire knowledge to understand and assess options and challenges for current and future medical applications. Any implant evokes a foreign body reaction in the human body. However, it must not harm the body beyond the implantation trauma and shall keep cellular reactions to a minimum. All these properties that one implant shall fulfil are summarized under the technical term of the “essential requirements”. This means that the implant must work safely under its intended use, i.e. the specification for what is has been manufactured and tested. It must not be hazardous even if a serious failure (first failure case) occurs. To prove safety and security, failure mechanisms must be evaluated in advance and data must be provided that it works safely and reliably. These investigations include investigations concerning biocompatibility over the whole development and manufacturing process. Biocompatibility is a complex term that describes the ability of a material to interact with a target structure in a desired manner . The whole process of medical device approval and post market surveillance of sold devices is very complex, regulated by national laws (the Medical Device Regulation 2017/475/EC in Europe)  and supervised by governmental structures. It is time consuming and financially challenging. In practice, investigations start with tests of the used materials and components on cytotoxicity using cell lines in vitro. Tests are internationally standardized (ISO 10993)  for evaluation of biocompatibility and complemented by other regulations, e.g. about cleanliness of implant surfaces, sterility and behavior when being exposed to radiation during imaging diagnosis with ultrasound, in computer tomographs, and during magnetic resonance imaging. Especially hazards in magnetic resonance imaging that has become gold standard in clinical diagnosis of neuronal disorders might affect patients carrying neural implants in their heads . The fulfillment of the essential requirements is one of many steps that challenge medical device developers and manufacturers to the benefit of the patient safety. This high level of commitment to safety with all necessary test batteries takes time and is finally also reflected in the price of a medical device. Materials and components used for neurotechnological implants are key factors influencing the biocompatibility, performance, and efficacy since they trigger the foreign body reaction and determine stability and life-time of the technical device. Some design concepts that work well for short term application might lack sufficient long-term stability. Water uptake and permeability of ions contributes to short circuits in integrated electronic circuits and components [32, 33] and eventually leads to implant failure. An overview of the main components and modules is given highlighting strengths and weaknesses of different opportunities. The substrate is the basic material on which the system is built on. Selection of materials depends on the manufacturing technology, the function and whether the material is in direct contact with the body or coated with another one. Silicone rubber (polydimethylsiloxane-PDMS) is established for coatings and as tube material but also for electrode arrays insulation using precision mechanics or laser structuring. It is the most widespread material for insulation and substrates in clinical applications [34, 35]. Silicon (Si) is the most widespread material for micromachined neural probes since it allows smallest feature sizes and monolithic integration of electronic circuits like multiplexers and amplifiers [36, 37]. Silicon is relatively stiff and therefore facilitates the implantation procedure. This property, however, leads to significant foreign body reactions that eventually deteriorate the material-tissue interface over time. Polymers are an alternative material class for substrates. Liquid crystal polymer, parylene C, polyimide, silicone rubber and SU 8 and are mechanically more flexible which is supposed to be advantageous with respect to tissue reactions [35, 38, 39, 40, 41, 42, 43]. Flexible substrates and probes need insertion tools for implantation into the brain or the peripheral nerve. Electrode arrays of both, stiff and flexible materials, can be assembled with hermetic packages and non-hermetic encapsulation to wireless implants. Electronic circuits are needed in every active implant for recording amplifiers, pulse generators for electrical stimulation or drivers for light sources in optogenetic applications. In addition, wireless data transmission needs electronic transmitters, receivers and some control circuits. If signal processing should be performed on the implant, microprocessors or special signal processing components are needed. Implantable defibrillators, for example, monitor heart activity by analyzing the electrocardiogram and automatically detect heart arrest or fibrillation to start heart defibrillation within milliseconds. Energy supply of those electronic systems can be either delivered by implanted batteries or by wireless inductive energy supply. Electronic circuits normally consist of single components (resistors, capacitors, coils, packaged integrated circuits like operational amplifiers and microcontrollers) and are assembled on printed-circuit boards. Miniaturization led to hybrid assemblies of these components directly on the substrate of electrode arrays or to monolithic integration of semiconductor devices into the bulk substrate if silicon is used. Independent of the chosen approach, the components have to get protected against the aggressive environment of the body to stay functional. Vice versa, the body has to get protected to toxic species that might diffuse out of the electronic components. Adequate packaging is needed to prevent short circuits between voltage carrying contacts, corrosion of metal contacts as well as degradation and dissolution of insulation layers. Requirements on reliability and stability of implant electronics are high and demanding. Safe operation over years and decades has to be guaranteed, especially in cases in which the implant replaces life-supporting functions. The body is a very delicate but also aggressive environment. Nervous and other tissue has to be protected from toxic agents of implant components. Vice versa, these components have to be protected from water and ions as well as from changing pH values and enzymatic attacks caused by the foreign body reaction after implantation. The body tries to destroy and remove the implant or –if not possible- to build a wall of cells around it. Packages and encapsulation layers have to fulfill the target specifications of surface and structural biocompatibility  to protect the technical (electronic) compound and limit the foreign body reaction. Polymers are easy to apply and closer to the mechanical properties of the target tissue but they are permeable to water and ions [32, 34]. Hermetic packages are “water tight” and are made out of glass, ceramics and metals. Their water vapor transmission rate is low enough to ensure functionality of electronic components over months and years [34, 44, 45]. The most challenging part of hermetic packages are electrical feedthroughs that have to connect the electronic circuitry in the inside with electrode arrays on the outside of the package without generating leakage pathways over which water and ions intrude and destroy the electronics [34, 45]. While reliable technology has been established with few feedthroughs for implantable pulse generators (IPG) in cardiac pacing, deep brain and vagal nerve stimulation as well as in cochlear implants, new approaches with many more contacts  are not yet approved as medical devices and are either used in the research only or are close to medical device approval studies. Cables with connectors that can be detached from implantable pulse generators allow replacement of components instead of exchanging the whole implants. Battery powered cardiac pacemakers and deep brain stimulators allow easy exchange of the implantable pulse generator from its subcutaneous pocket when the life-time of the battery is close to its end. Fixation screws of the connectors have to be opened and the electrode with its wires can stay in place. Similar procedures are established when cables in deep brain stimulation implants fail due to breakage in the neck region. The cable can be exchanged in a surgical intervention by detaching the plugs to the electrode array in the brain and to the IPG and re-attaching them again after replacement. Connection of components after implantation is also beneficial, if an implant consists of many electrodes that have to be subcutaneously routed to a central control unit like in neural prostheses to restore grasp  and gait . Current manufacturing technologies of these connectors limit the number of contact to about sixteen. Large channel counts in the range of hundred contact sites or more that are envisioned in brain-computer-interfaces or in vision prostheses need different solutions. However, there is no implantable connector commercially available nor on the horizon that can bridge this gap. The solution lies currently either in fixed wires or in multiplexing electronics with additional packages close to the electrode arrays. Electrodes establish an electrical contact to the nervous tissue for recording and stimulation purposes via the conductive medium inside the body. Precious metals like platinum, stainless steel and base alloys like MP35N has been established over decades as materials for the electrode sites in most cases . Metal contacts made by means of conventional manufacturing methods have proven stability over decades. Microsystems engineering with its high degree of miniaturization uses thin-film metallization layers in the range of several hundred nanometers. These layers are so thin that corrosion rates over the years have to be negligible to provide long-term functionality. Months to years of stability have been already shown to be achievable on flexible  and stiff [50, 51] probes but there is still room for improvement and the need to reach the life-time of established approaches in clinical practice. Coatings of metals (e.g. rough platinum, iridium) , metal oxides (e.g. iridium oxide) or conductive polymers (e.g. PEDOT) [53, 54] decrease the noise and increase both, signal-to-noise quality during recording and the safe charge injection capacity for stimulation. Integration of amplifiers under the electrodes is feasible on silicon substrates  but has been also recently been realized with conducting polymers . New materials like carbon-based fibers [56, 57] or glassy carbon electrodes [58, 59] emerged during the last years. They show excellent electrochemical stability in vivo. Carbon fiber-based approaches feature a significantly reduced tissue reaction compared to silicon-based devices, due to their small diameter . Longevity of these approaches and clinical applicability still have to be proven. Neurotechnologies for chronic use should provide either non-invasive or fully implantable systems for human use. Percutaneous wires and plugs are established for fundamental clinical studies over months and years [60, 61, 62] but bear the risk of infections at the site at which the cable penetrates the skin. Batteries (both primary cells as well as rechargeable ones) and wireless inductive coupling are established methods to power implant electronics. Wireless inductive coupling is also used for bidirectional signal transmission using a coil in close contact with the skin to couple with another coil inside the body [35, 47]. The disadvantage of coil alignment and short distance coupling comes with the advantage of safety that no undesired communication can occur when coils are not properly aligned. Radio frequency transmission is another option to establish a communication pathway between an implant and an external control unit. The more channels an implant has and the more detailed information is desired with respect to amplitude and time resolution, the more data have to be transferred. Bit-rate transfer scales linearly as product of electrode numbers, sampling frequency (in Hz) and amplitude resolution (in bit). An array with 1000 channels, 10 kHz sampling frequency and 16 bit resolution would need a transmission rate of at least 160 million samples per second without any safety features to detect and restore corrupted data. Therefore, many implant developers prefer to have signal processing features on board to reduce the amount of data to be transmitted. In addition, recording and amplification as well as stimulation over many channels is a power hungry task. While cardiac pacemakers with a maximum of four stimulation electrodes and about 60 to 120 stimulations per minute provide battery life times of about 5 to 10 years, cochlear implants need wireless energy supply since a (non-rechargeable) battery would last only days to weeks. Implant electronics should be as energy efficient as possible also to minimize hazardous heating of tissue around the implant and guarantee either long battery life-time or minimum energy absorption of electromagnetic radiation (Specific Absorption Rate-SAR) during operation. The independent International Commission on Non-Ionizing Radiation Protection (ICNIRP)  gives advice on maximum tolerable exposure levels and associated potential hazards for humans. User interfaces are the key part in daily applications of devices, not only in the medical sector. However, they are often the most neglected parts in the development of neurotechnologies since they come at the very end of the development chain. While engineers and physicists are able to use odd line-oriented programming languages, the patient and the healthcare professional prefer unambiguous graphical guidance through a simple and intuitive interface. Safety must be provided as part of the essential requirements. Patient and healthcare professionals need different information and access rights to the data and control parameters. While patients in a cochlear implant, for example, should be able to modulate the “volume” of the implant or switch between programs to use or connect to a telephone, participate in conversations or select a music program, the technician in a control investigation might need to switch between electrode contacts, read out the electrode impedance to get insights into the device status and to change stimulation paradigms. The more complex implants get, the more complex the user interface needs to be. The user interface should stay as simple as possible to gain user acceptance and prevent “explorative” behavior as everybody knows from electronic devices that do not function immediately as the user expects. Security of data in implants with wireless data transmission possibilities must be provided to prevent risks for the patients in first place. No one from the outside must be able to enter the implant without access rights to change vital parameter of a stimulator, for example, or download data that are not in his or her legal ownership. Even inductive coupling is limited to the near field of the coil of the opposite side of the skin, data encryption should be properly done to meet highest safety standards. This is even more important when radio frequency connections are available, either for permanent data transmission or in the case that the implant is connected via GSM modules to the mobile grid or via WiFi with the internet. Bluetooth connections between mobile device and implant are currently entering business cases and have to provide higher standards than those used in headphones or MP3 players. Ownership of data, not only from the brain , and privacy becomes more and more important in modern prognosis, diagnosis and treatment options in which big data combined with machine learning methods promise better outcomes . Using an integrated approach to collect data and assembling personalized information from a vast range of data sources, both structured and unstructured, covering the whole spectrum from genomics to behavior  will expand knowledge for testing new hypotheses about disease management from diagnosis to prevention to personalized treatment. These scientific approaches with big data should, however, be closely accompanied by measures that take care of the raised challenges in terms of privacy, security, data ownership, data stewardship, and governance . The question whether neurotechnologies should be used or not is not easy to answer without putting it into context of application scenarios in the medical and non-medical field. No matter how the answer will look like from a personal, a societal, ethical or legal point of view, this answer should not be given without knowledge about the opportunities, challenges and threats of the technological solutions, without medical knowledge about potential risks, the patients’ needs and potential alternative (treatment) options. The decision whether a person takes the offered opportunities should always be a personal one based on serious and sound information on effects and side-effects and under full knowledge about societal boundary conditions under which this free decision can be taken. For example, if one wants to get an implant without any medical need, who is legally allowed to implant this device? Am I allowed to take a do-it-yourself construction kit of a neurotechnological gadget because of a lower price? And does my general health insurance still pay after I implanted such an electronic toy into my body causing serious adverse effects? It has to become a joint effort of different “stakeholders” in society to overtake responsibility and discuss neurotechnologies on a broader basis: medical doctors to explain the medical indication and the treatment effects, engineers to assess and thoroughly communicate opportunities and limitations of existing technologies in an understandable way, psychologists to support the patients in their decisions, ethicists and politicians to develop and set an adequate normative and legal framework. If everybody contributes with his and her particular expertise and questions, the big picture of neurotechnologies as enabling technology for new treatment options and better quality of life can become true and patients might not get fooled by wrong promises and quacksalvers. Part of this work was funded in the cluster of excellence BrainLinks-BrainTools (German Research Foundation-DFG, EXC 1086), the European Projects TIME (FP 7, CP-FP-INFSO 224012), EPIONE (FP7, FP7-HEALTH-2013-INNOVATIO-1602547) and NEBIAS (FP7, CP-FP-INFSO 318478) as well as by the German Ministry for Education and Research BMBF under the grants MOTOR-BIC (FKZ 13GW0053E), BAROLOOP (FKZ 13GW0120C) and INOPRO (FKZ 16SV7656). The author thanks Danesh Ashouri Vajari for the graphical artwork in Fig. 1. IEEE, Code of Ethics 2018. https://www.ieee.org/about/compliance.html ; last access: 2018-08-01. NIDCD, NIH 2018. https://www.nidcd.nih.gov/health/cochlear-implants, last access: 2018-04-20. Medical Device Regulation (2017/745/EC), https://eur-lex.europa.eu/legal-content/EN/TXT/?uri=CELEX%3A32017R0745. last access: 2018-08-01. ICNIRP 2018: International Commission on Non-Ionizing Radiation Protection; https://www.icnirp.org/en/home/index.html; last access: 2018-08-01.